Ships tomorrow if you order in the next 20 hours 52 minutes. You are probably aware of the potential damage of the sun and it's ultra-violet rays. Often times we leave our skin unprotected, which can result in sun damage. Your skin might become dry, spotted or wrinkled. It might be possible with DeVita Sun Damage Repair Serum with Copper Peptide. This formula is designed to encourage new skin formation and promote firmer skin. Copper plays a fundamental role in skin health by helping restore the skins ability to repair itself. It is a powerful collagen and plays an anti-oxidative role in the body. Furthermore, copper-dependent enzymes increase the benefits of natural tissue building processes. 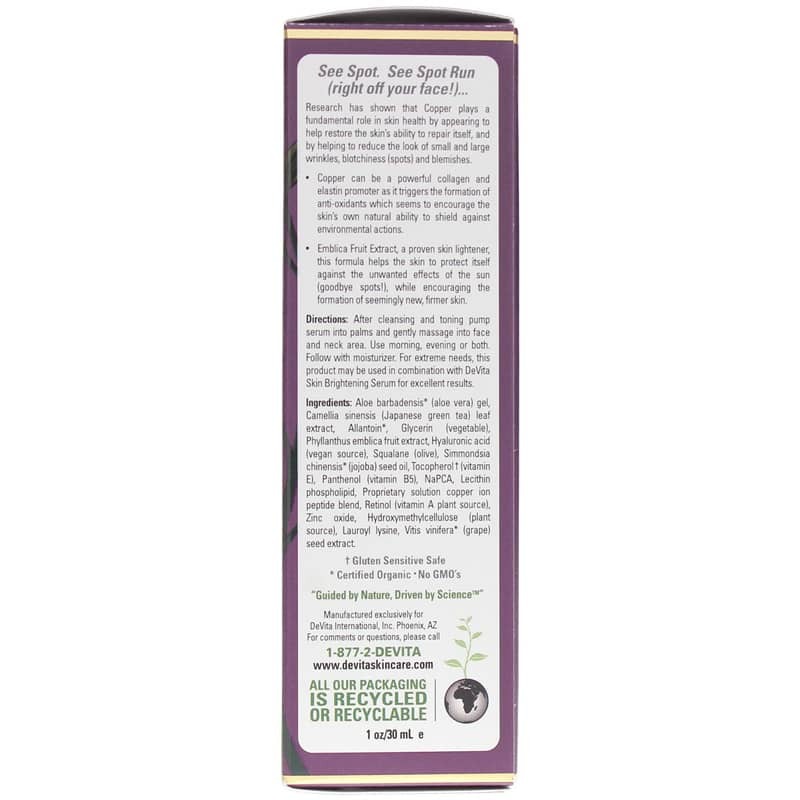 This all-natural facial serum is ideal for replenishing and restoring your skin. 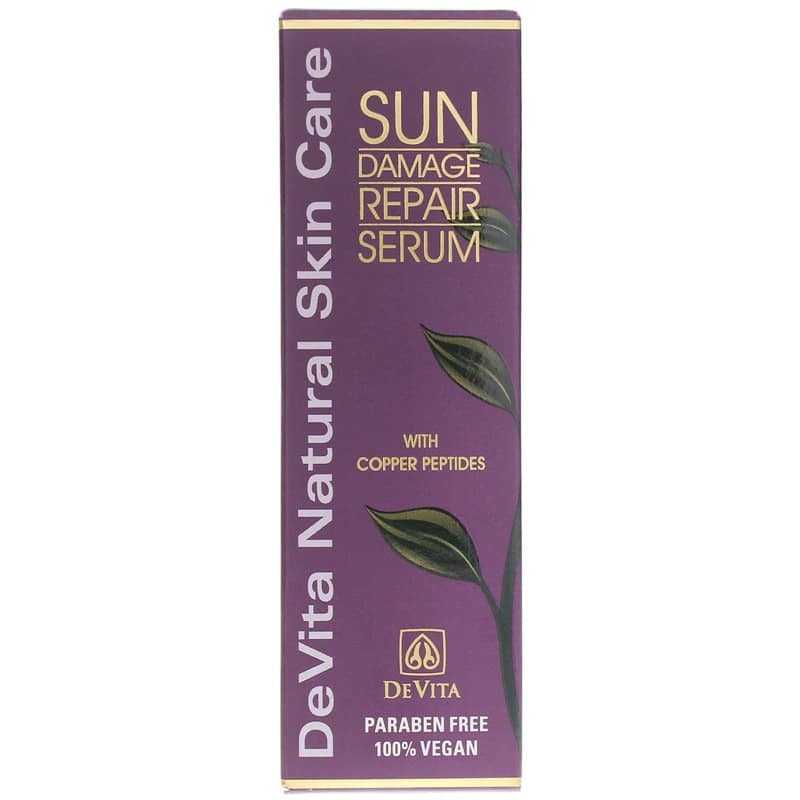 Try DeVita Sun Damage Repair Serum. Apply small amount onto face and neck prior to moisturization. Can be used morning or night or both.